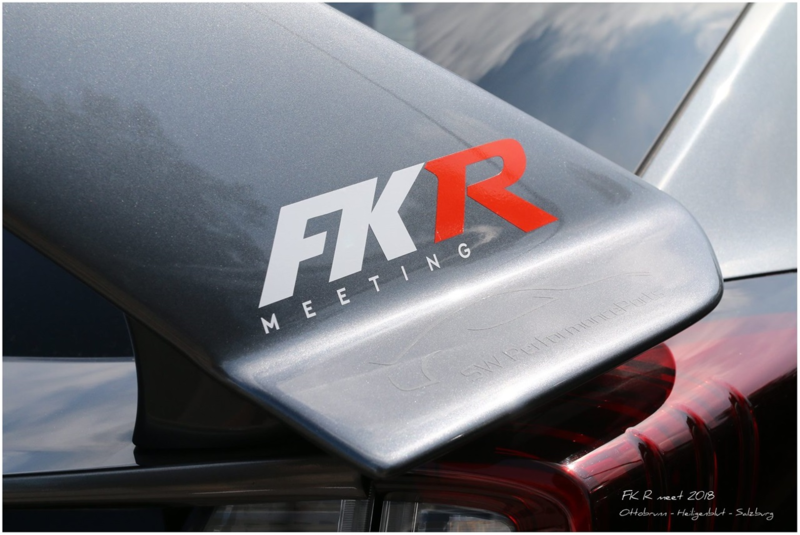 FK2/8 meeting 2018 in Germany/Austria. 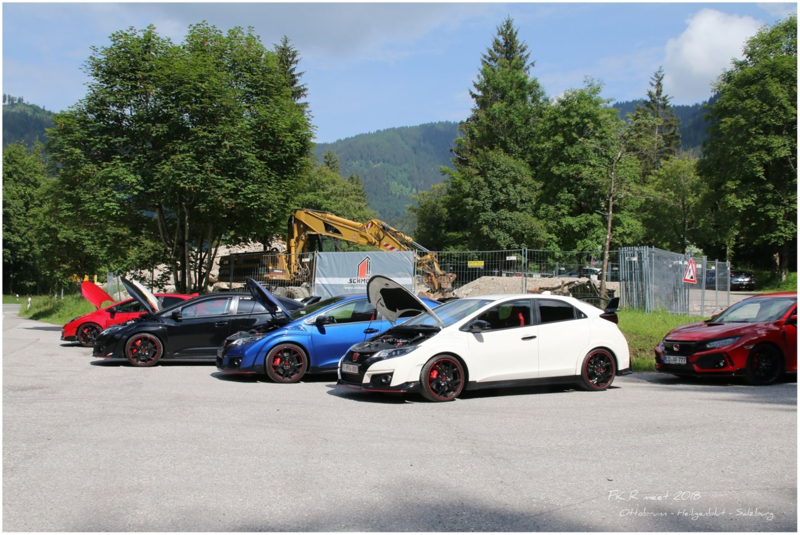 Autohaus Bauer Ottobrunn and 7mod organised for the second time a long weekend meeting/tour which went by from 08-10 June 2018. 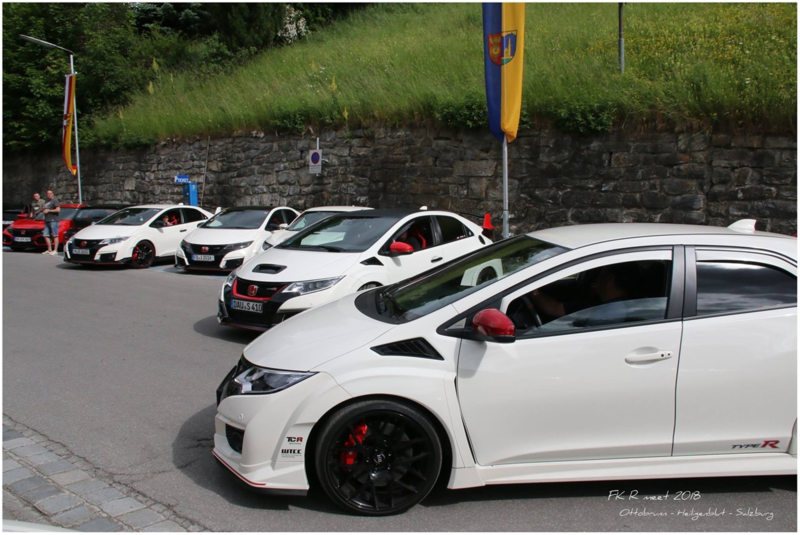 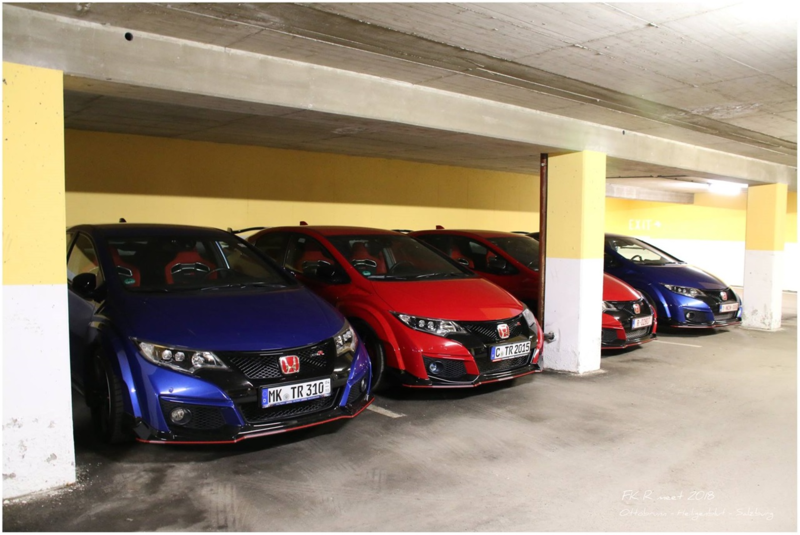 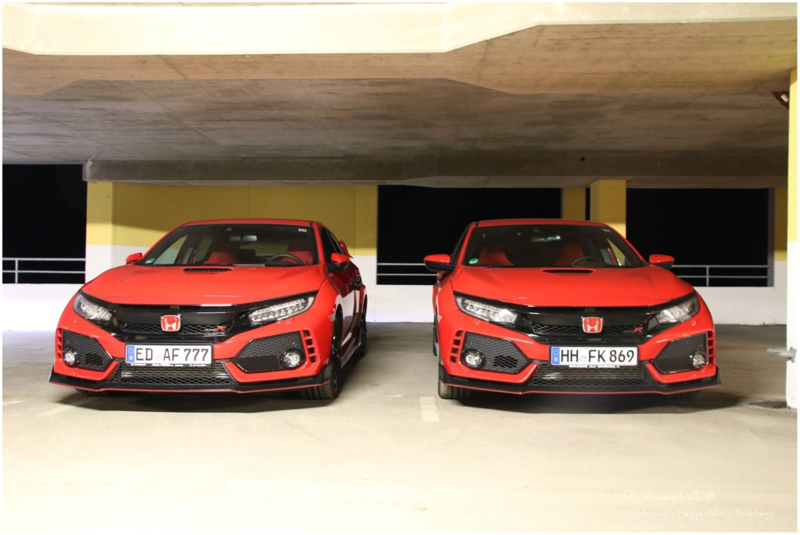 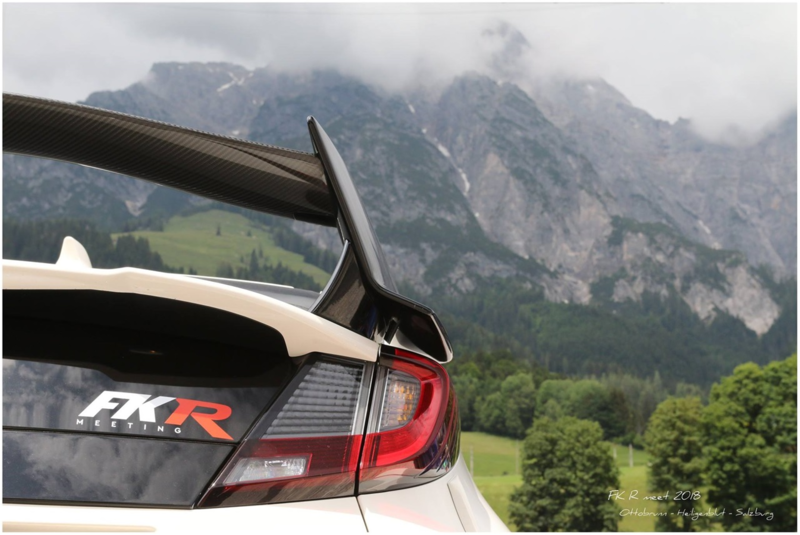 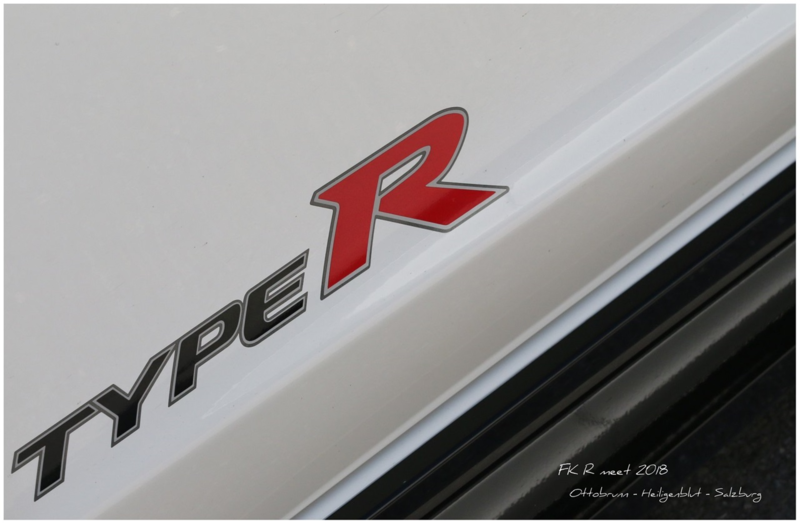 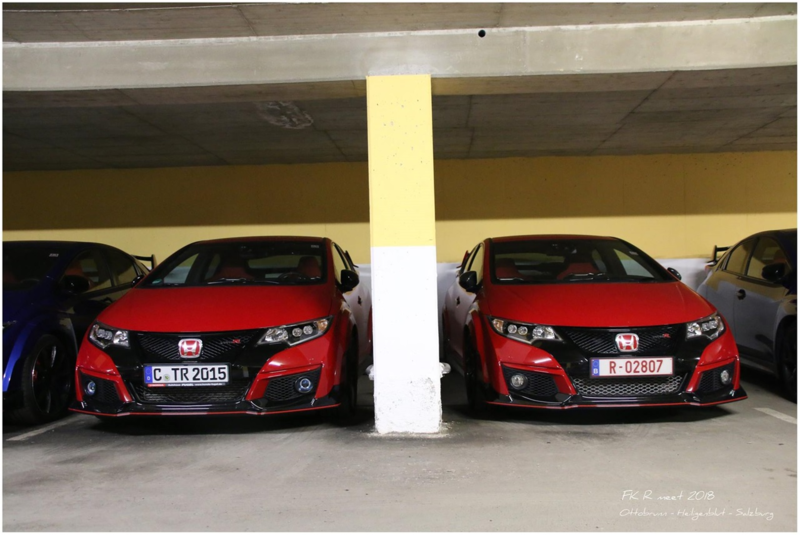 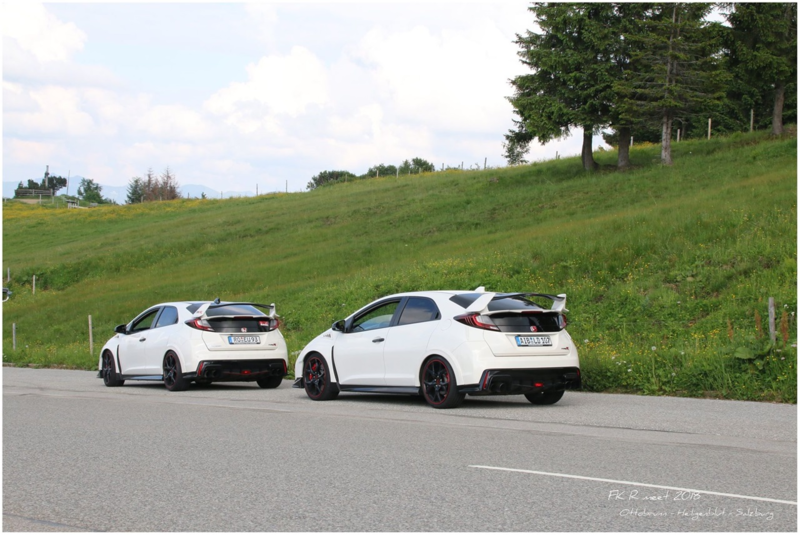 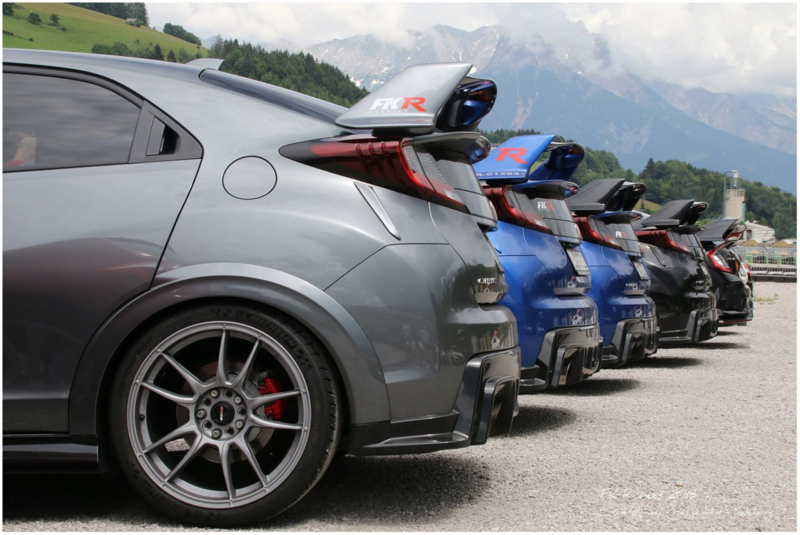 43 Honda Type R FK2/8 were present in Ottobrunn, Germany were the start was given. 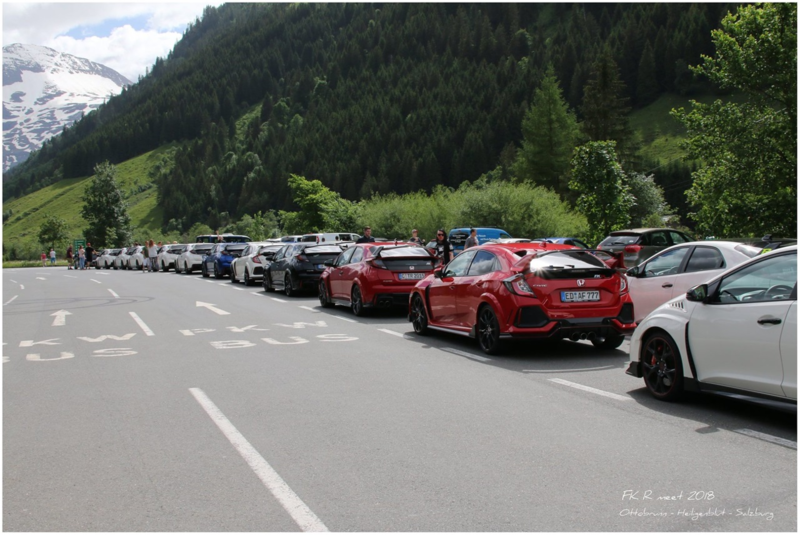 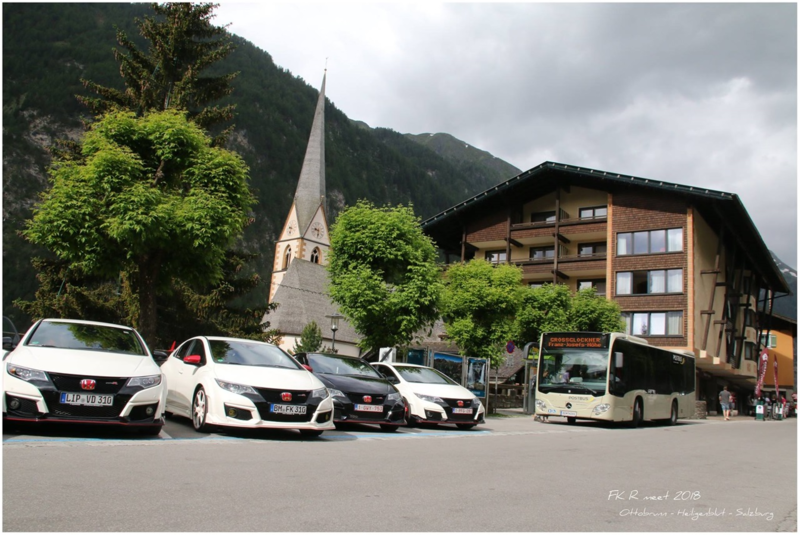 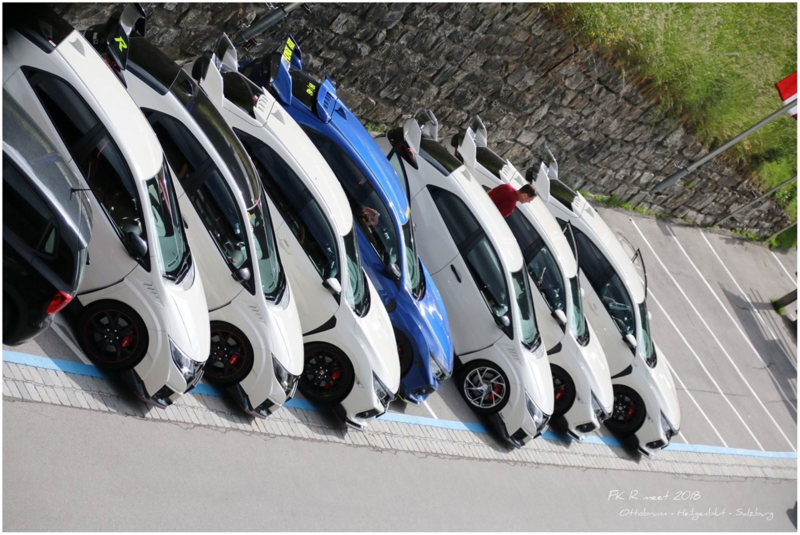 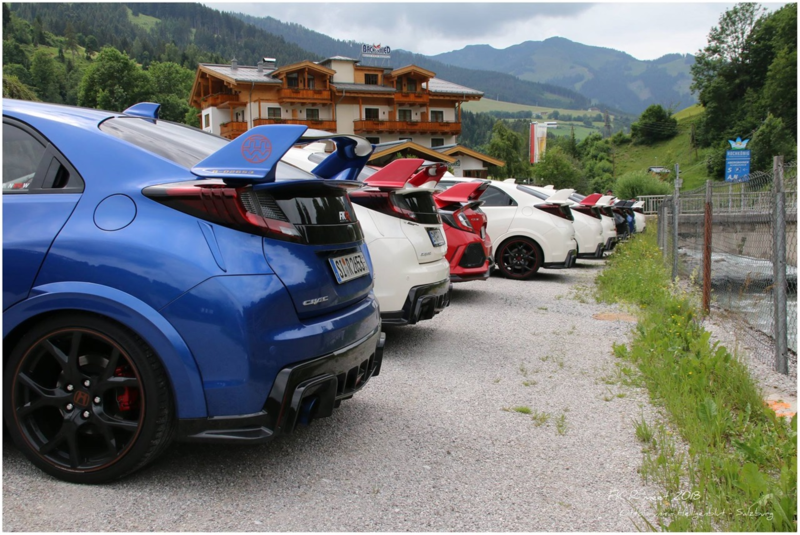 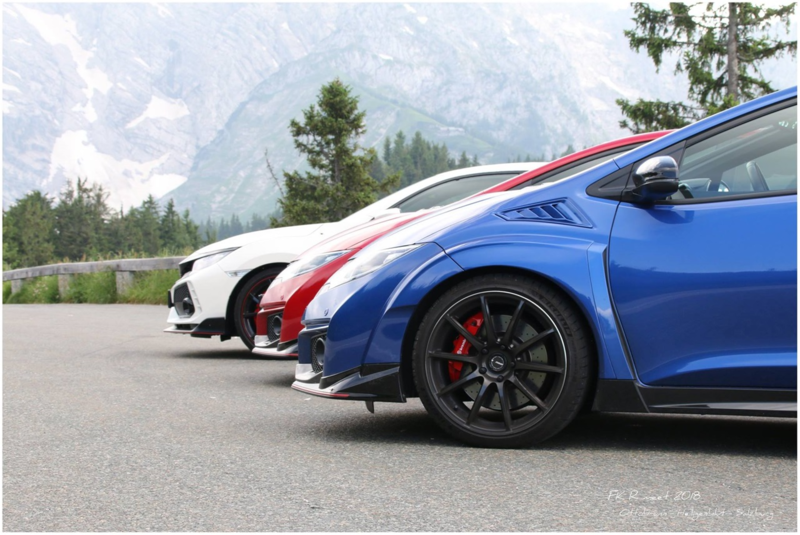 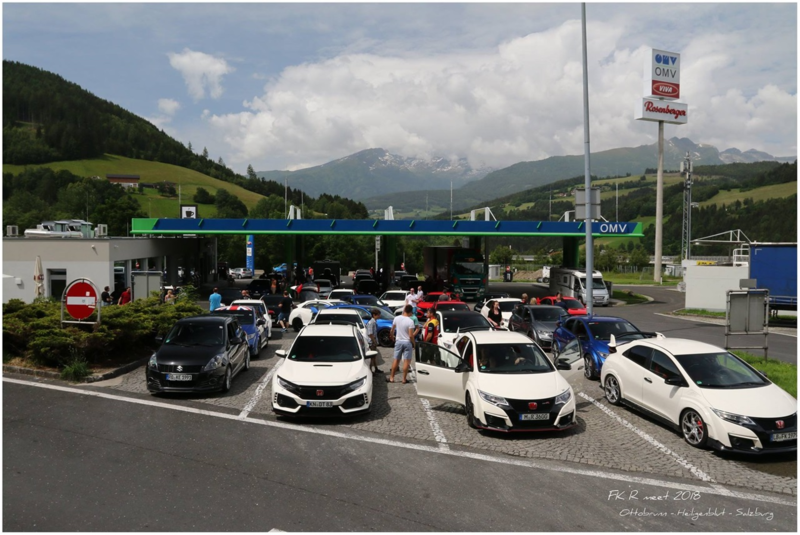 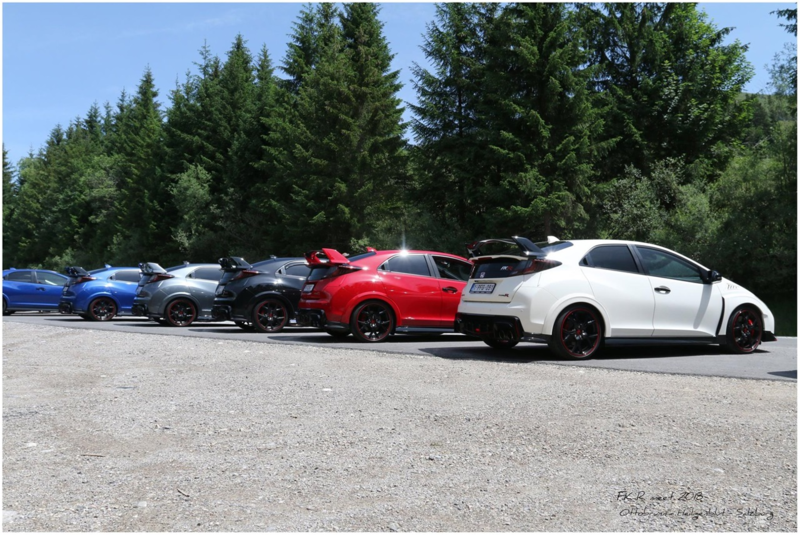 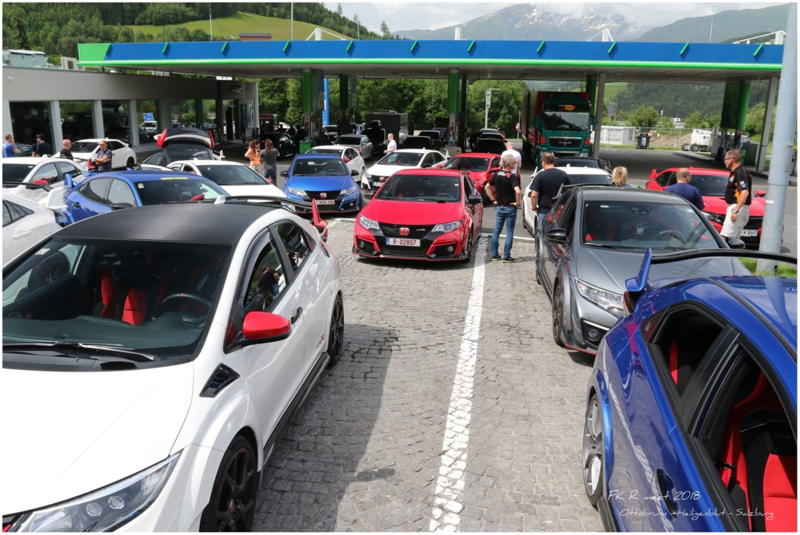 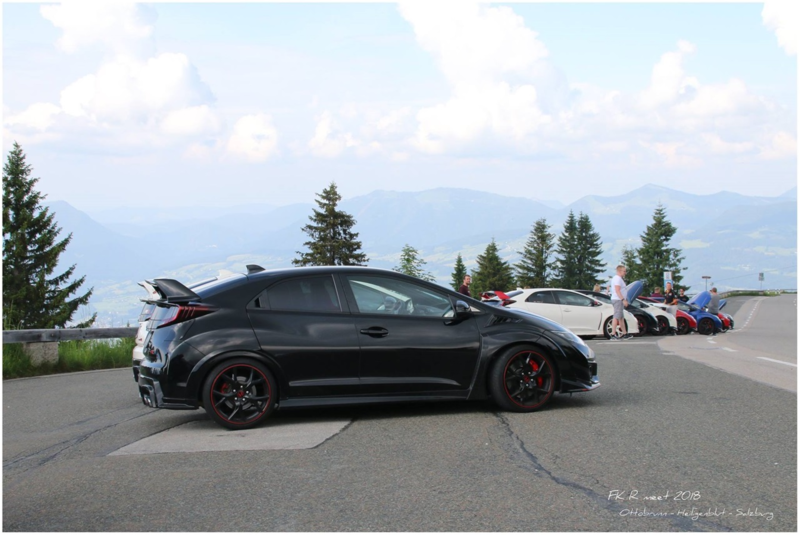 Among the participants there was 1 Austrian, 7 Belgian and 35 German Type R's witch make from this happening an unforgettable experience. 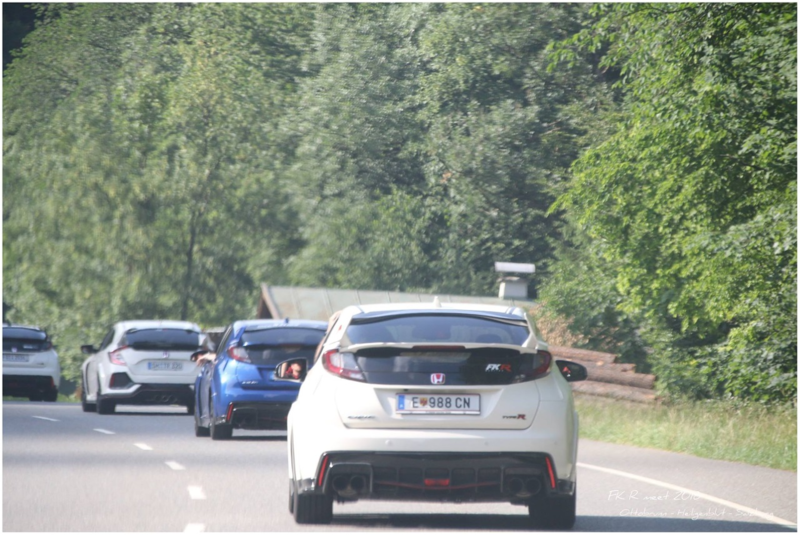 Day 1. 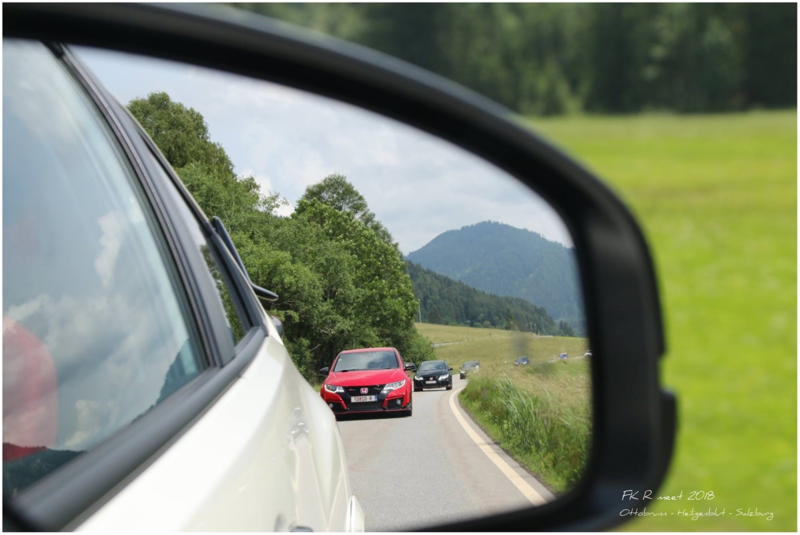 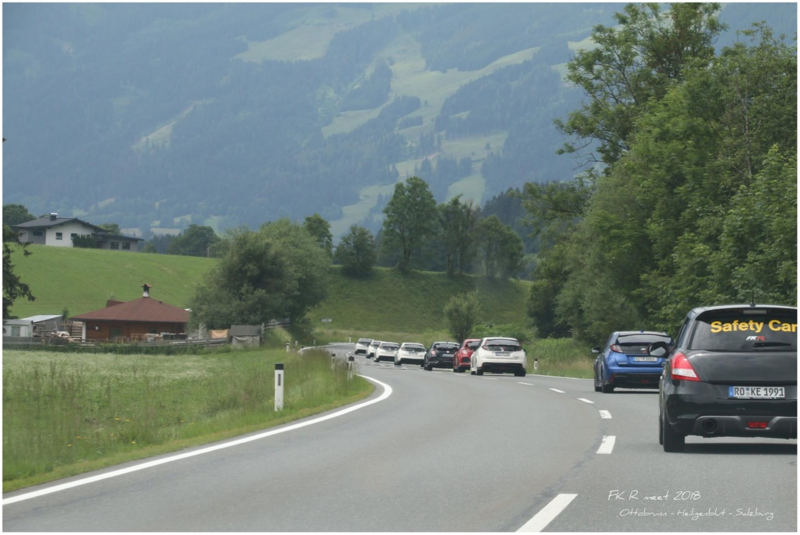 From Ottobrunn we drove in divided groups to Sudefeld and further to Kitzbühel. 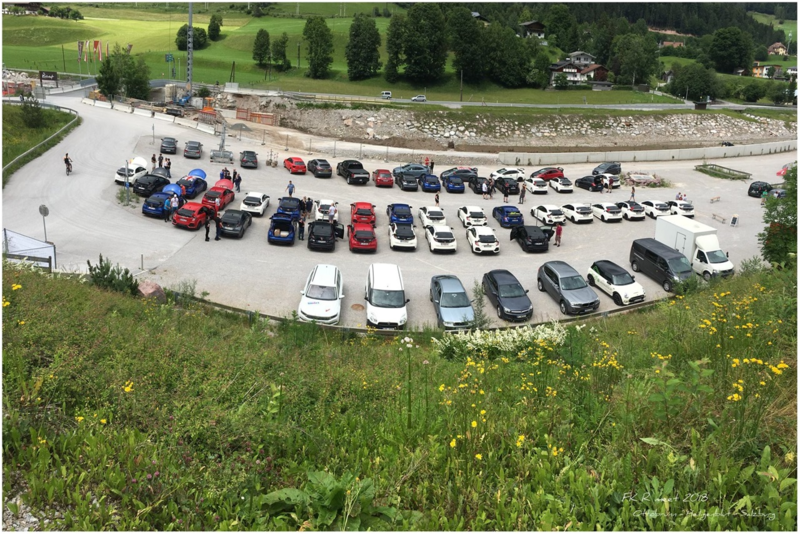 Here and there we stop to strech the legs, took many pictures and make some movies from all the present cars and participants. 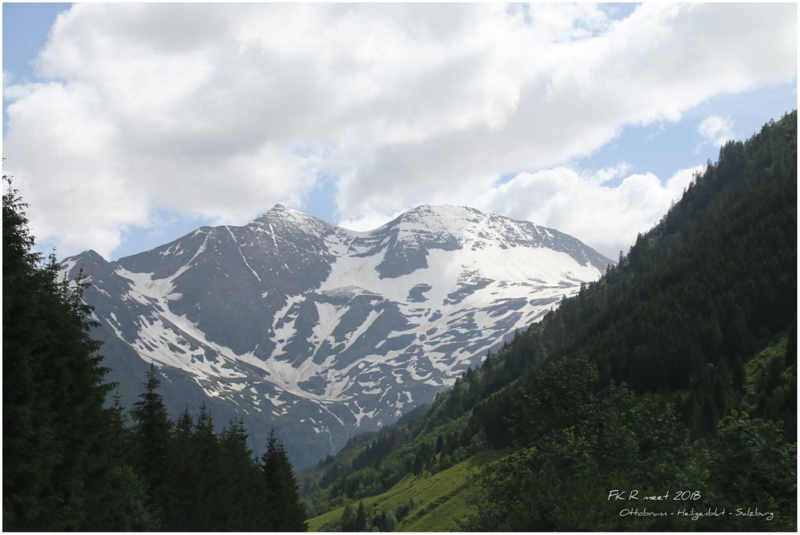 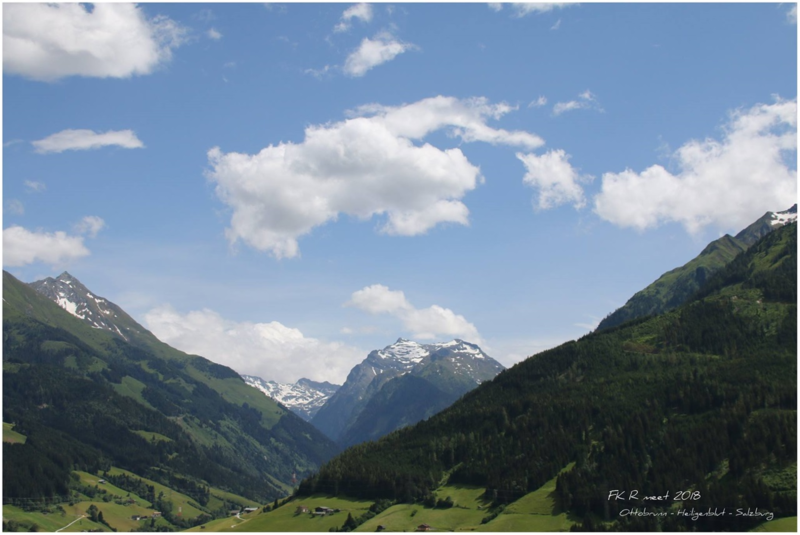 From there we drove to the Großglockner (3.798 m), the highest mountain in Austria. 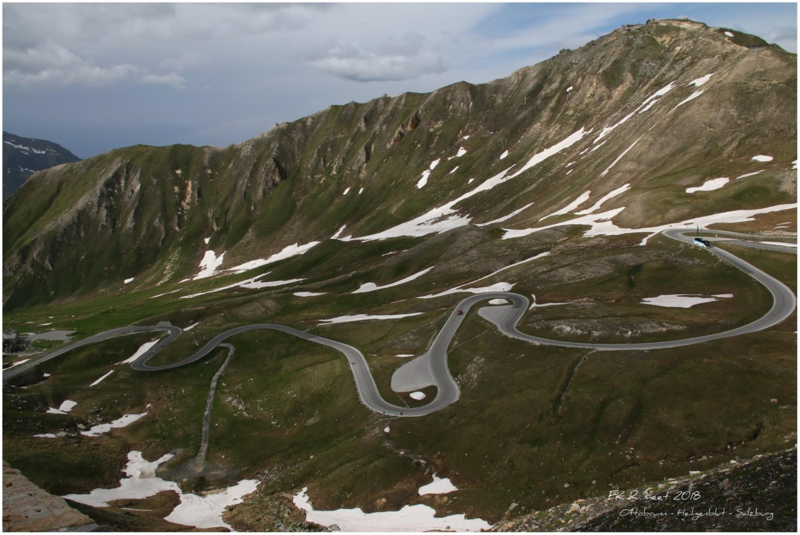 The road contains about 36 bends and rises to about 2.504 m. where we enjoy on the top the beautiful nature and surrounding mountains. 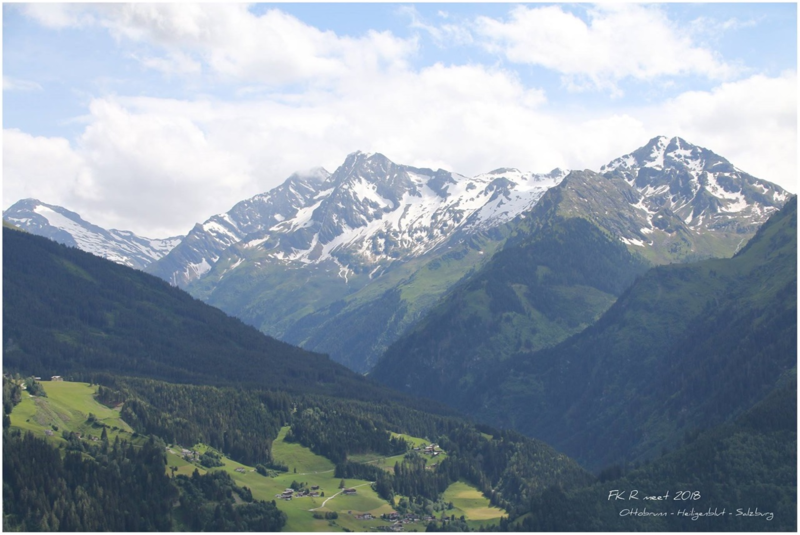 From the top we drove back, sometimes very fast, down to end in the nice mountain village Heiligenblut. 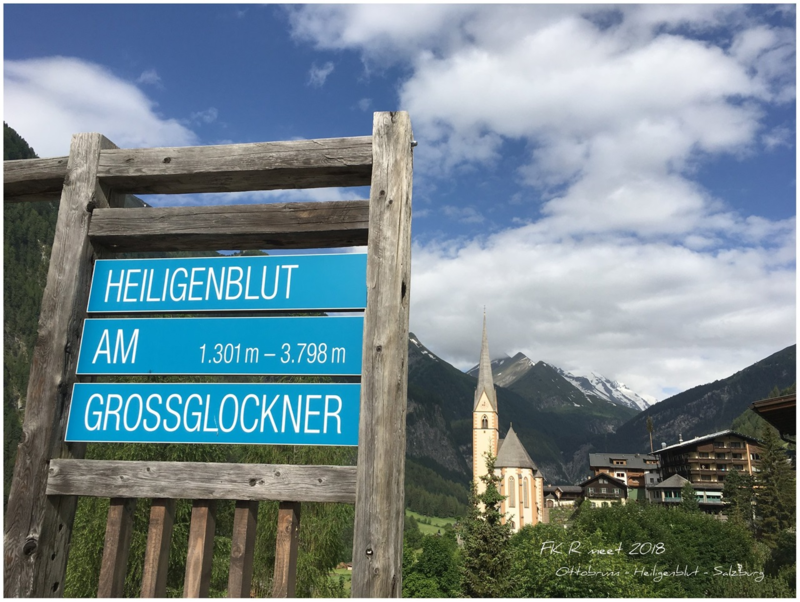 There we stay in the 4 star hotel Nationalpark Lodge Grossglockner. 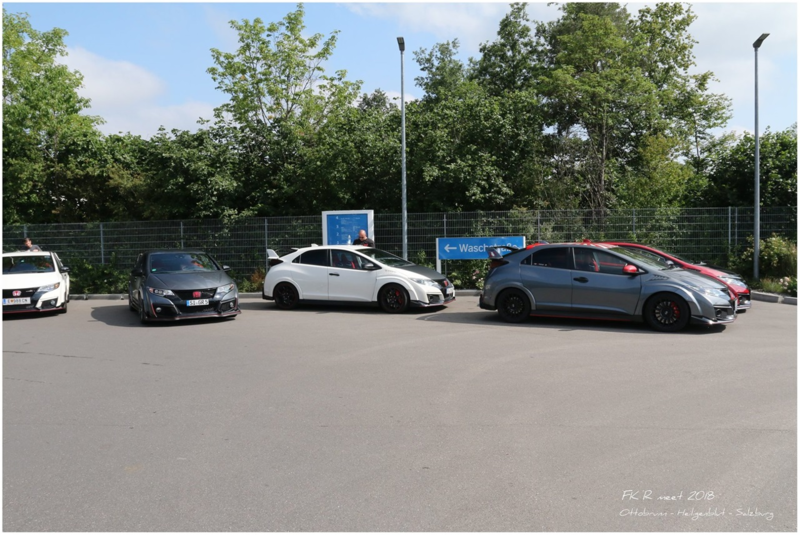 Day 2. 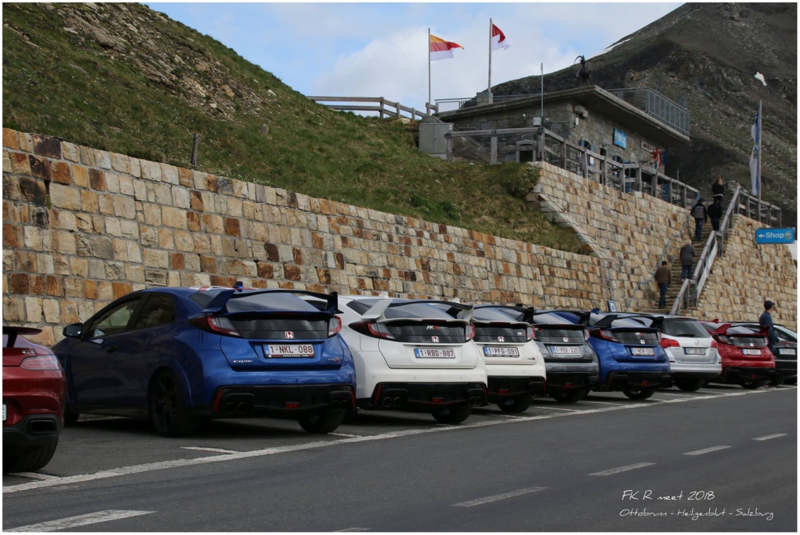 After a good overnight stay and breakfest we made up to drive to Lienz, Spittal an der Drau where we drove up the Rossfeld Mountain Bergpass near Berchtesgaden. 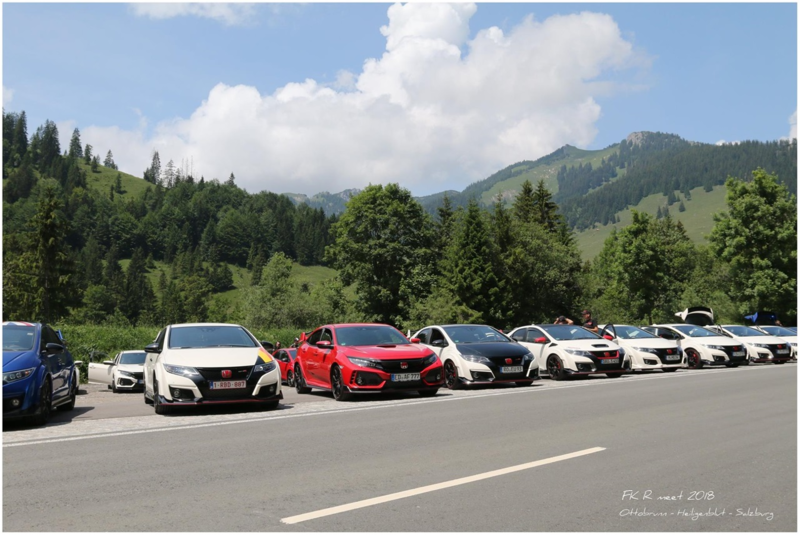 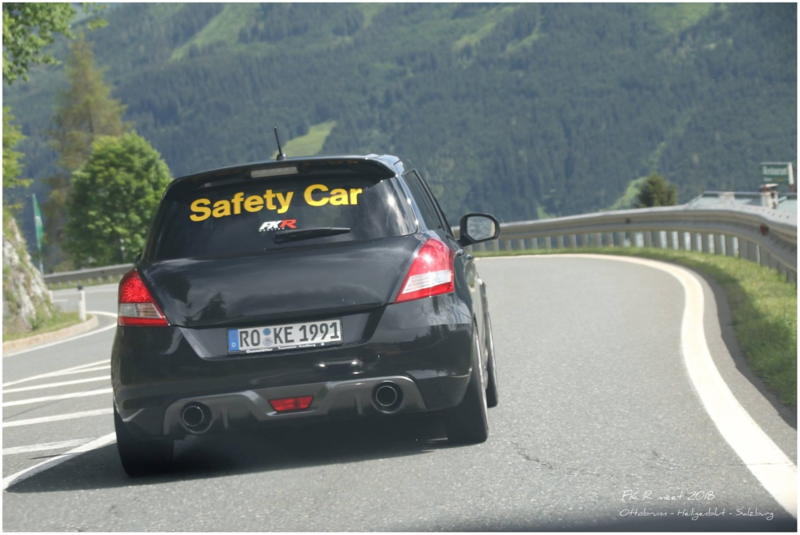 More pictures and movies were made, some participants already drove down to drive back up to improve their driving skills so it was fun and we al enjoy these special moments. 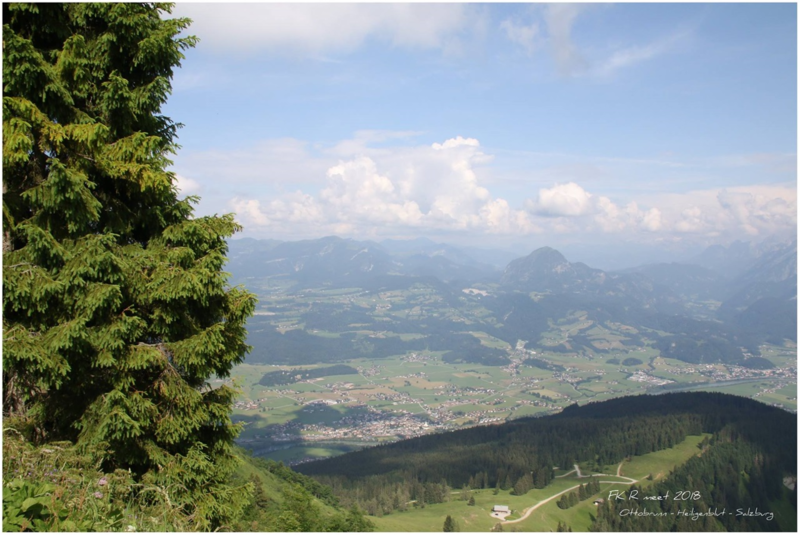 After this we proceeded to Salzburg where we checked in the NH Hotel Salzburg City. 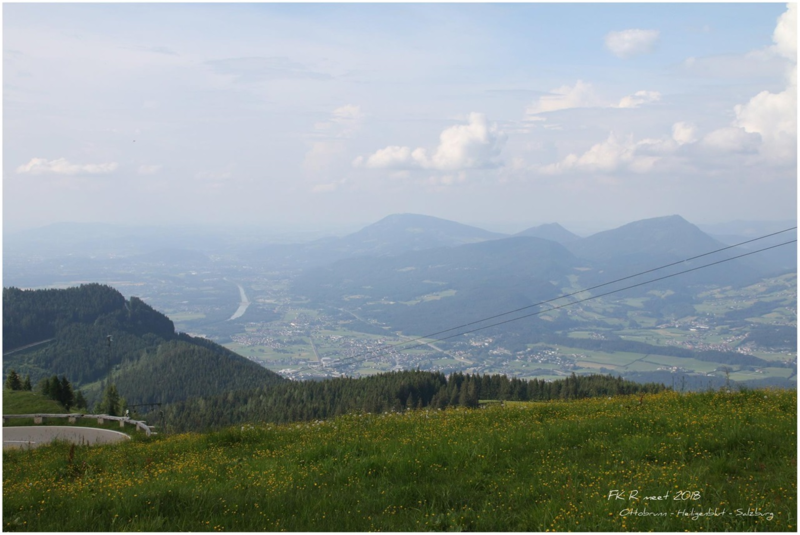 In the evening we took a nice dinner in the Wirtshaus where it is cozy busy. 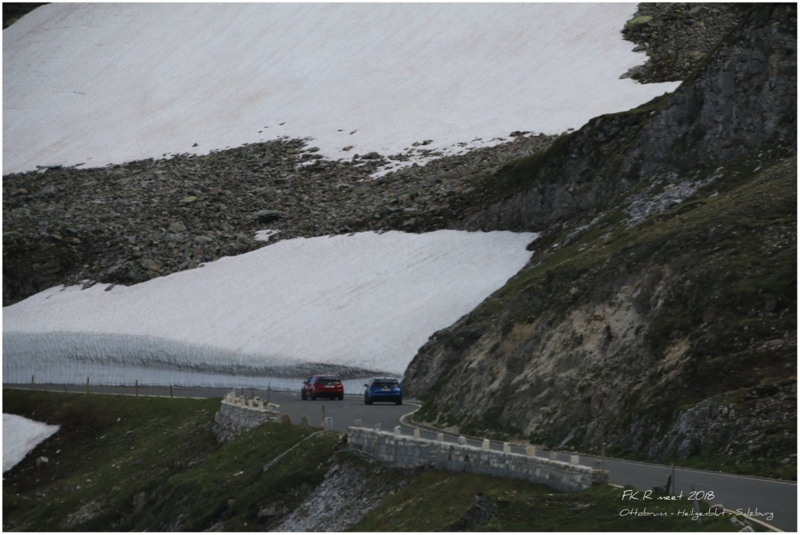 After dinner, and for the people who wanted to take a step in the world, there were plenty of opportunities to do this. 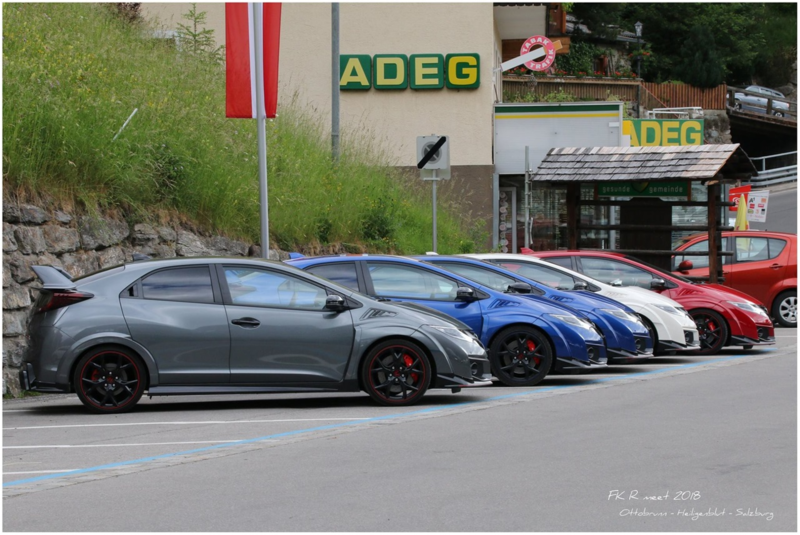 Day 3. 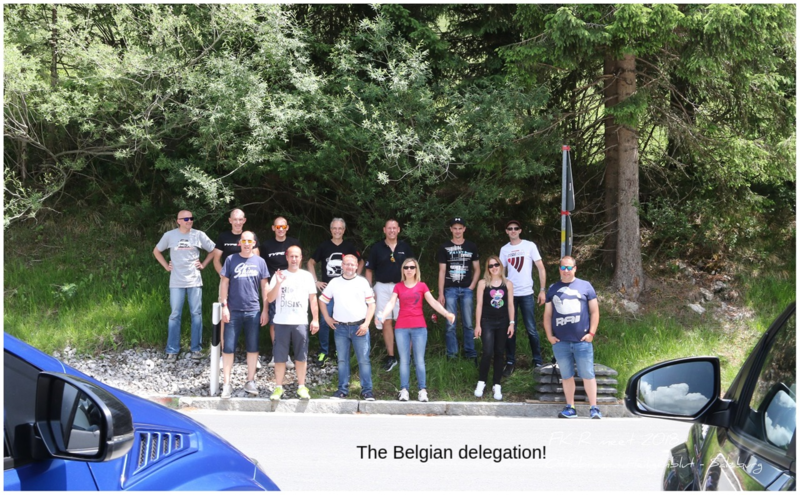 In the morning we took a nice breakfest in the hotel and there was a say goodbye between the participants. 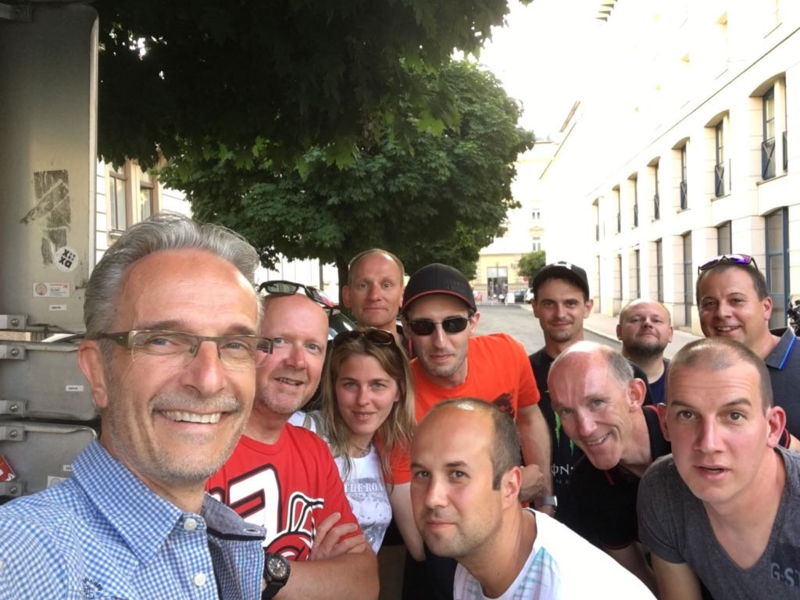 Some people drove home but there was also a group that on their own initiative did a tour that ended in Munich where they stay in the Stay2 Munich for a good night sleep. 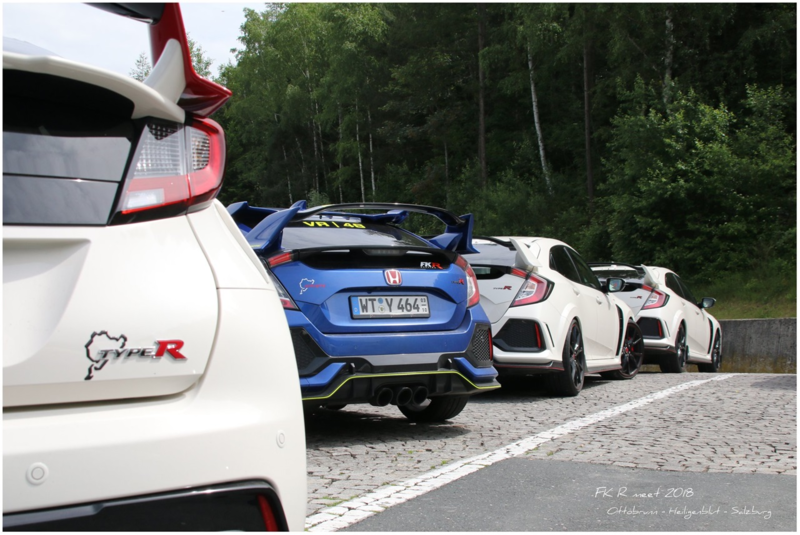 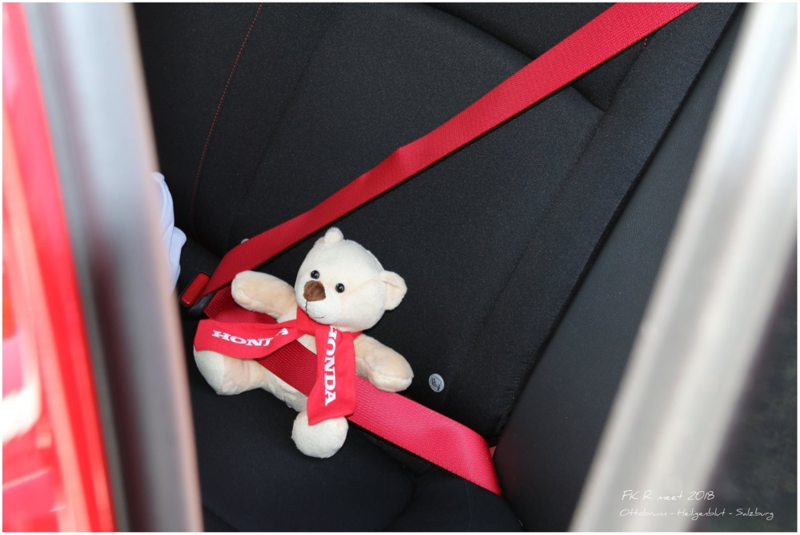 I also want to take the opportunity to thank Autohaus Bauer Ottobrunn GmbH, 7mod, Schuller Productions and Honda Deutschland Automobile for the support and to make all of this possible. 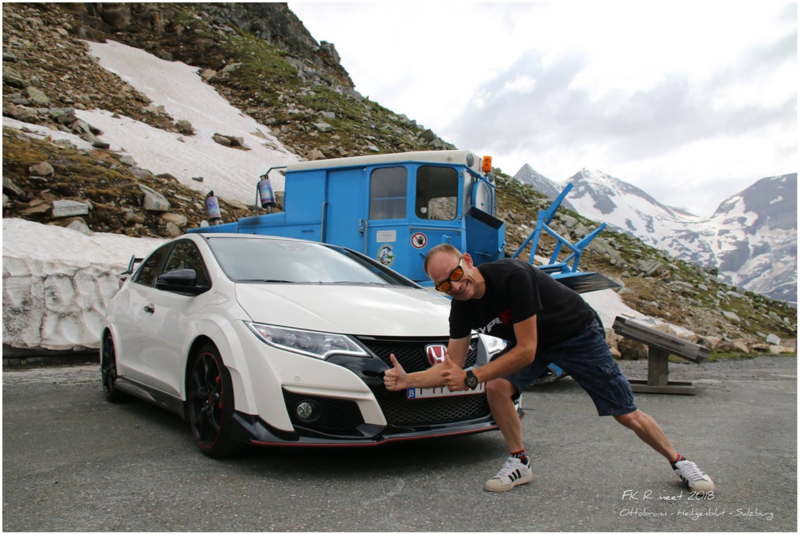 Also many thanks to Jan Cuinen who provided me the nice pictures. 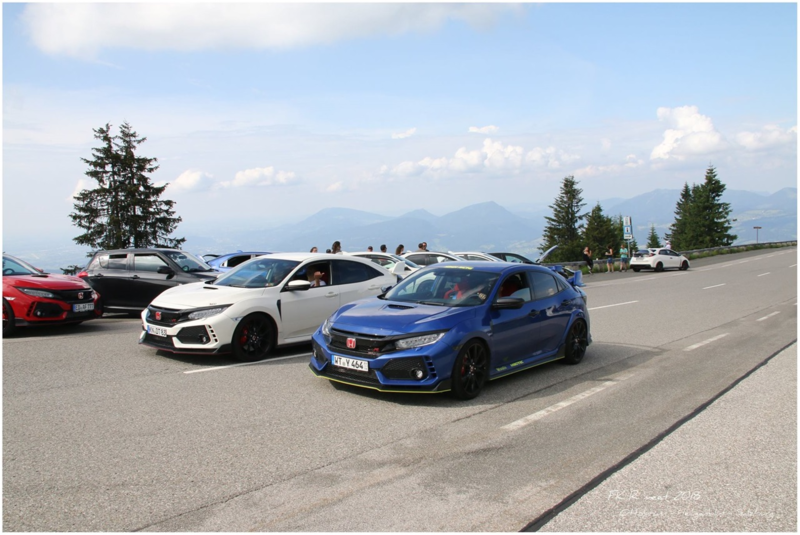 It was an unforgettable happening and I signed already in for the edition 2019!